The Emerson String Quartet will join Shai Wosner and the Chamber Music Society of Lincoln Center for a 7:30 p.m. concert Oct. 22 at Hodgson Concert Hall. UGA Presents is bringing the Chamber Music Society of Lincoln Center back to Athens Oct. 22 for a 7:30 p.m. performance in Hodgson Concert Hall. The concert will feature the Emerson String Quartet and pianist Shai Wosner performing Mozart’s Quartet in E-flat Major for Piano, Violin, Viola and Cello and William Bolcom’s Quintet No. 1 for Piano, Two Violins, Viola and Cello. The program concludes with Dvorak’s final quartet, the Quartet in G Major for Strings. The Emerson String Quartet has maintained its stature as one of the world’s premier chamber music ensembles for more than four decades. 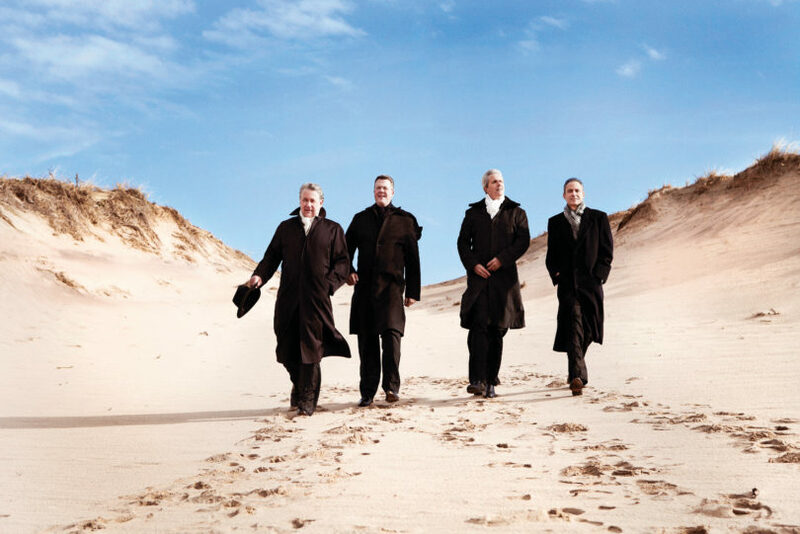 The quartet’s extensive discography of more than 30 recordings has been honored with nine Grammy Awards, including two for best classical album, and three Gramophone Awards. Formed in 1976 and based in New York City, the quartet takes its name from the American poet and philosopher Ralph Waldo Emerson. Wosner was born in Israel and studied piano at the Juilliard School with Emanuel Ax. He is a recipient of Lincoln Center’s Martin E. Segal Award and an Avery Fisher Career Grant. Wosner has appeared with leading orchestras around the world including the Chicago, Cleveland, Los Angeles, San Francisco, Barcelona, Bournemouth, Frankfurt Radio and Gothenburg symphonies and the Staatskapelle Berlin and Vienna Philharmonic. The Athens concert will be recorded for broadcast on American Public Media’s Performance Today. A pre-performance talk will be given by the Chamber Music Society of Lincoln Center’s Patrick Castillo. The talk begins at 6:45 p.m. in Ramsey Concert Hall. Tickets for the concert, which start at $35, can be purchased at the Performing Arts Center box office, online at pac.uga.edu or by calling 706-542-4400. A limited number of tickets are available to current UGA students for $6 to $10 with a valid UGA ID (one ticket per student). Hodgson Concert Hall and Ramsey Concert Hall are located in the Performing Arts Center at 230 River Road in Athens.